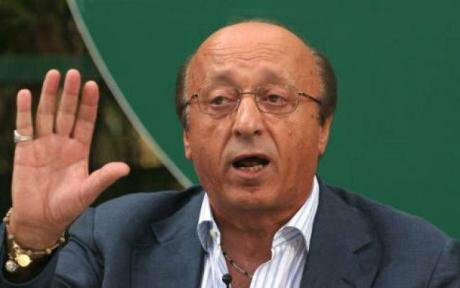 Luciano Moggi: a symbol of corruption in both Italian football and society? Flickr/calciostreaming. Some rights reserved. Football is a reflection of society, Michel Platini once remarked. It mirrors not only its values, but also its fears and prejudices. A mere glance at Italian football reveals a sorry state of affairs. With the escalation of racism and territorial discrimination during the last football season, and the re-opening of investigations in relation to 2011's match-fixing scandal, the picture football paints of mainstream society is grim indeed. Many have gone so far as to claim that Italy suffers from a 'culture' problem. But is 'culture' really the problem? Berlusconi has shocked the international public on more than one occasion with his tactless remarks and unsavoury jokes. His characterization of Obama as a 'young, handsome and tanned politician' made the front page, inducing anger and embarrassment amongst Italians. But while Berlusconi may not be a master of political correctness, these backward attitudes and stereotyped approaches to the 'other' are widely common amid Italian politicians and the media. Cecile Kyenge, the country's first black Minister, who recently had bananas thrown at her during a rally, was publicly likened to an 'orangutang' by Calderoli, a Northern League Minister. Furthermore, in the past couple of years, the buzzword 'invasion' has often been used by the media to describe the upsurge of refugees reaching the Italian coast by boat. In parallel with these and other developments, the last football season recorded numerous racist episodes, despite UEFA' s introduction of a new, anti-racist resolution in March 2013 .The resolution urges referees to stop or even abandon matches in the event of racist incidents, and introduces tougher sanctions for racist conduct, including a ten-match ban for players or officials, a partial stadium closure for a first offence and a full stadium closure for a second offence, as well as a € 50,000 fine . In Italy, the motion was coupled with measures aimed to eradicate so-called ‘territorial discrimination’. In fact, concerned about increasing animosity between Northerners and Southerners, increasingly expressed through football matches, the Italian football federation approved stricter rules to tackle abusive behaviour based on parochialism. However, these amendments have not put a cap on discrimination. In 2013, numerous players, including Kwadwo Asamoah, Paul Pogba and notably, Milan players Kevin-Prince Boateng and Mario Balotelli have endured racist abuse. Boateng, a victim of Pro Patria's offensive chants during a friendly in January, removed his shirt and walked off the pitch followed by his team-mates. Super Mario, one of Italy's celebrity players, has put up with boos and monkey noises during various games, and has narrowly escaped scuffles with fans on more than one occasion. Even territorial discrimination has not seen consistent decrease. In the last football season, Milan, Inter, Roma and Torino fans were all reprimanded for discriminatory behaviour. However, the clubs did not receive severe punishment, contra all forewarnings. Milan fans who had earned their team a 50,000 € fine and the closure of their Curva section for a game against Udinese, due to offensive chants such as 'Neapolitans: cholera-sufferers', drew a sigh of relief when, following contestation, the Federation reviewed its initial decision. Other teams were also spared the closure of their sections, although the Italian Football Federation might re-consider if episodes of territorial discrimination reoccur. Calciopoli, the betting and match-fixing scandal that plagued Italy in 2006 and involved major football clubs like Juventus, Milan, Fiorentina, Lazio and Reggina, came as a blow to the Italian football world that, at the time, was celebrating its recent triumph in the World Cup. Breaking the spell were phone-taps, which revealed that Juventus Director General Luciano Moggi, and to varying degrees the directors and officials of other teams, had engaged in match-fixing and rigging at boardroom level. They were accused of exerting influence on referees, in order to guarantee favourable outcomes in matches. Moggi, considered as the criminal mastermind of Calciopoli, received a lifetime ban from football, and his team, Juventus, incurred severe point deductions, was stripped of its 2005 and 2006 Serie A titles and relegated to Second Division. Milan, Fiorentina, Reggina, Lazio were also docked points, but retained their place in First Division. According to the initial ruling, Juventus was to be relegated to Third Division and Milan to Second Division; however both sentences were reduced on appeal. Incidentally, justice often seems to bend to the will of the powerful and wealthy. It is highly likely that the Agnellis, founders of Fiat and proprietors of Juventus, and AC Milan's proud owner Silvio Berlusconi pulled a few strings to obtain more favourable rulings. In fact, although Juventus paid the price for its involvement in the scandal, it was spared demotion to Third Division, which would have resulted in significant economic loss, mostly due to celebrity players transferring to other teams and sponsors ending their deals with the club. Moreover, while evidence finds A.C. Milan's CEO Adriano Galliani deeply implicated in match-fixing, and word has it that, rather suspiciously, Berlusconi was keen on offering Moggi a job at his club back in 2005, Milan suffered from comparatively soft punishments. A few years on, ahead of the 2012 Euro Cup, Calciopoli, almost a distant memory , new allegations of match-fixing and illegal betting amongst Second Division teams led to the arrest of former striker Signori, former Bari captain Bellavista, as well as in a second stage, of Lazio captain Mauri, former Genoa player Milanetto and others. More recently, the ongoing investigations in relation to the 2011 scandal led by prosecutor Di Martino, resulted in charges of criminal conspiracy and sports fraud against Milan player Gattuso and Lazio player Brocchi, as well as in the arrest of other four suspects. At the moment of writing, criminal cases have just being opened. Racism, discrimination and corruption are not exclusive to Italian football. Amongst others, the UK and Belgium recently witnessed cases of rigging and match-fixing, while it is generally acknowledged that efforts to counter racism must be intensified both in Europe and internationally. It appears tentative and somewhat incorrect to point the finger at Italy's supposedly backward culture, in the search for the causes of racism and corruption. In so doing, we risk to oversimplify and generalize matters, whilst wrongly dismissing these problems as “cultural”. Undoubtedly, Italy's past, in particular its difficult process of unification, testifies to the ongoing divide between North and South, to society's fragmentation and to a generally widespread hostility towards foreigners. Moreover, after World War II, the Italian political system has suffered from various corruption scandals, which prove that corruption is a long-standing issue. But asserting that racism and corruption are rooted in Italian culture is tantamount to claiming that Italy is intrinsically racist and corrupt. This essentialist approach not only denies realistic assessments, but also out-rules the possibility for future improvement and change. With regards to football, it should be noted that the increase in racist incidents bears a close relationship with the rise and spread of right-wing ultras groups. Out of 41,000 Italian ultras, a large majority express ideas typical of the radical right, boast a strong local affiliation, are intolerant towards others, in particular foreigners, easily resort to violence and often get involved in scuffles with the police. Thus, racism in Italian football should not be explained in reference to Italy's allegedly racist customs, but rather to a growing right-wing ultras culture, which authorities appear unable to keep in check. Similarly, it is worth mentioning that corruption scandals in football have resulted in society’s widespread disillusionment with the game. While football remains popular, research shows that following 2006's and 2011's prosecutions many have deserted stadiums, and turned to other sports, seeking genuine fair play. More generally, recent statistics by the European Commission demonstrate that only 22% of Italians hold that government efforts to combat corruption are effective and only 27% believe that there are enough successful prosecutions in Italy to deter people from corrupt practices. A more accurate analysis of Italian football highlights that far from blaming culture, the focus of criticism should be on the implementation of sketchy legal provisions and on the paucity of initiatives engaging players and fans, as well as society more broadly. Racism and corruption are inadequately punished. Moggi, who was initially sentenced to 5 years and 4 months, recently had his conviction reduced to 28 months on appeal. The reason for this was the expiration of the statute of limitations for one of the charges, namely sports fraud. Not only will he probably never spend any time in jail, but other sentences may also witness consistent reductions. As for racism, footballing bans such as Gannon's or Anelka's in the UK hardly ever come into force. Usually, football clubs receive fines in lieu of their fans. Since the latter are not affected in first person, this measure falls short of addressing the issue proactively. In addition, Second or Third Division racist incidents almost never make the headlines, and at times are even ignored by referees during First Division games. As sociologist Mario Valeri claims, there is also confusion as to actions, behaviours, symbols which are to be considered racist and inadmissible. In order to raise consciences, there needs to be more initiatives organized by anti-racist associations. Data shows that the majority of fans, although faithful to their ideals, do not oppose dialogue altogether . If the Italian Football Federation and the clubs are serious about tackling racism and territorial discrimination, they must reach out to football fans. Furthermore, growing public resentment against corruption indicates that football authorities and the government must start cooperating to ensure regulatory compliance, so as to deter future breaching. If the football world engages in deep self-reformation, then it may be able to put a hold on the gradual, but steady drop in the number of aficionados. Sport may even take on some sort of pioneer role, setting examples for society at large. But in order for this to happen, we must stop indicting ‘culture’ and identify and address the real root causes of negative behaviours and practices.